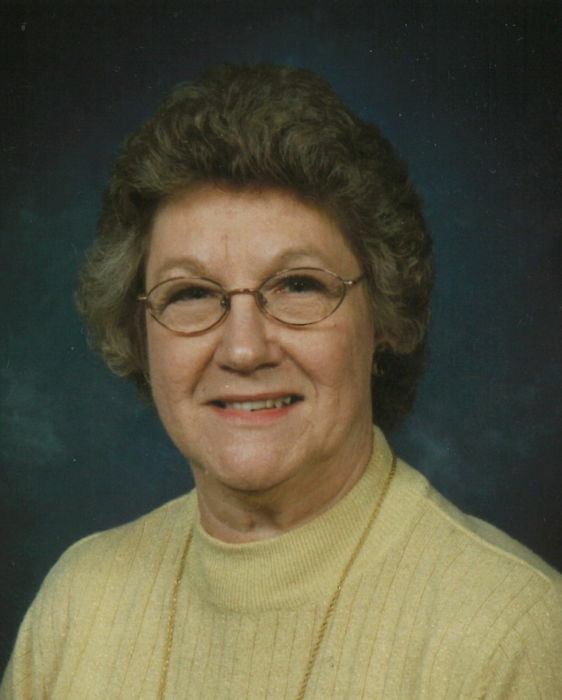 Elizabeth Haller Griffin, 82, of Waycross, Georgia went to be with her Lord, Saturday morning (November 17, 2018) at Baptist Village Nursing Home in Waycross after an extended illness. Mrs. Griffin was born in Washtenaw County, Michigan to the late Lyle Jacob Haller and Cecil Corrine Frederick Haller and had made Waycross her home for the past four years. She was a retired Pre-School Teacher and a member of Victory Baptist Church in Jacksonville, Florida. Mrs. Griffin was an avid bird watcher, reader and cross stitcher, but her true calling was being a Pastor’s wife and being involved in the ministry. In addition to her parents she is preceded in death by her husband Rev. Jimmy Lee Griffin; a daughter, Melody Lynn Griffin and a sister, Elsie May DeLand. Mrs. Griffin is survived by a daughter, Faith Anne Burns ,husband Marvin, of Jacksonville, FL; three grandchildren, Joshua Edwards of Jacksonville, FL, Stephen Edwards ,wife Janey, of Lakeland, FL, Sarah Elizabeth Burns of Jacksonville, FL; a brother, James Lyle Haller of Jackson, MI; a sister, Mary Margaret Jones of Jackson, MI; numerous nieces, nephews and other relatives. A funeral service will be held Saturday (November 24, 2018) at 11:00am at Faith Baptist Church in Delco, North Carolina. Burial will follow in Faith Baptist Church Cemetery. The family will be receiving friends beginning at 10:00am at the church. In lieu of flowers memorial contributions may be made to Faith Christian Academy, 26998 Andrew Jackson Highway, Delco, NC, 28436. Miles-Odum Funeral Home is in charge of the arrangements in Waycross, GA.
McKenzie Mortuary is in charge of local arrangements.